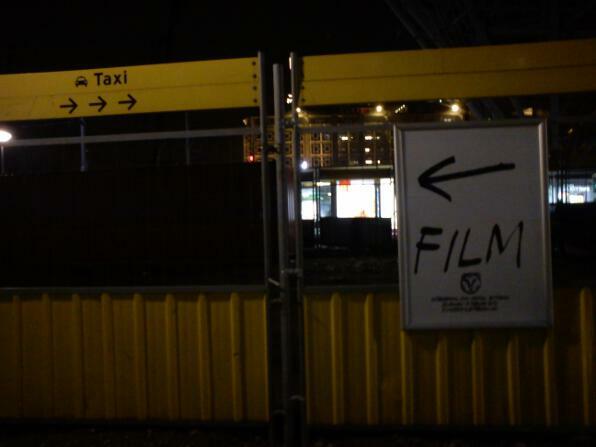 Going for Rotterdam to see IFFR is a little bit like scavenger hunt. The clue is the funky tiger face across the city. Last Saturday was my first time to downtown Rotterdam — I’ve been to Rotterdam before but it was a school trip by bus to Erasmus University. 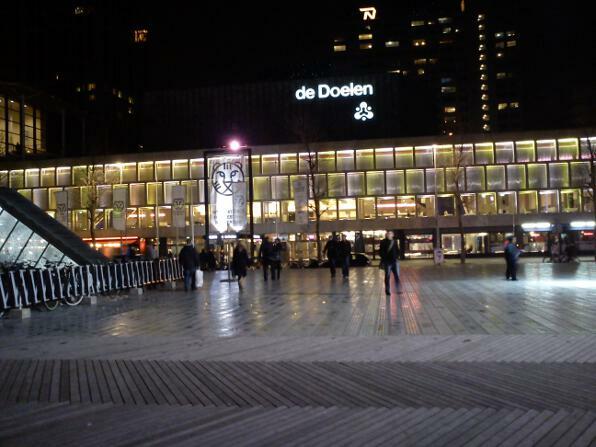 So on Saturday, I arrived at the Rotterdam Centraal train station a bit nervous. I had checked the map beforehand, but I couldn’t help to remember the fact that most of the time I get lost easily. Anyway, my worries vanished when I walked out of the station. 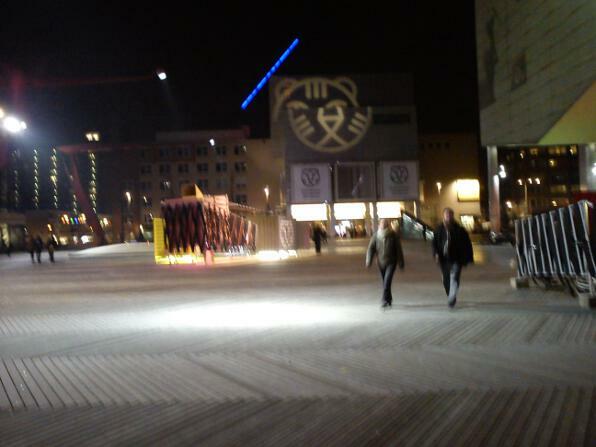 I, er, well, movie buffs, were welcome by posters of IFFR. The design was simple but clear, just like the brand identity of the festival, it looked as if written by hand using a thick marker. 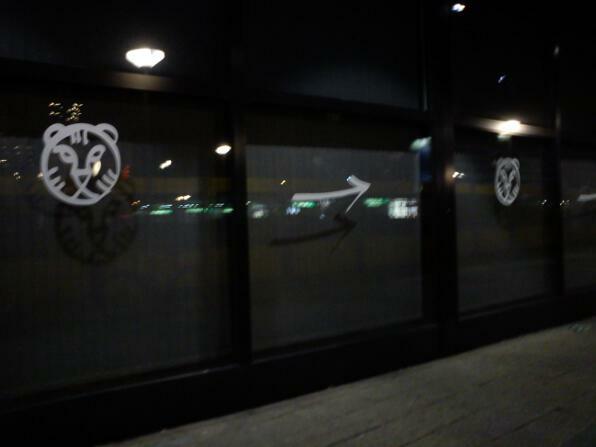 Following the posters’ arrows, I saw the organiser also put big stickers on the glass wall of a building along the way. More tigers and arrows. 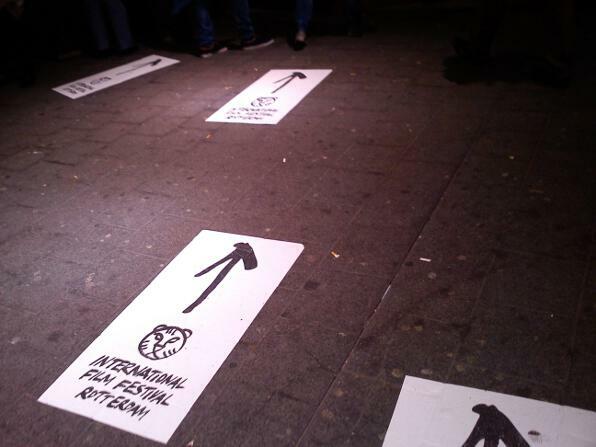 The guidance continued on pavement, too, where tigers and arrows were stenciled upon.